Even tho mesh hands are popular, I TP'd to a club and saw 95% of the women there wearing standard avatar hands and prim nails so apparently, nails are still a big seller in the grid! 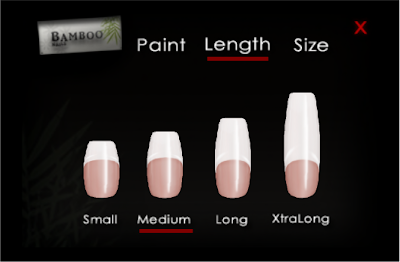 [Bamboo] Nails has released many new styles and colors recently and I am here to show a few. 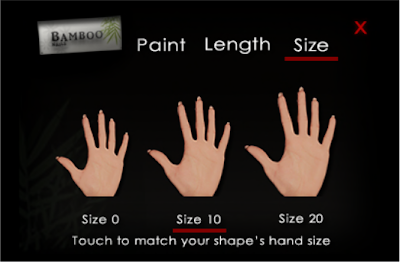 There are color options, lengths and hand size choices which are all controlled in one place, saving inventory space. 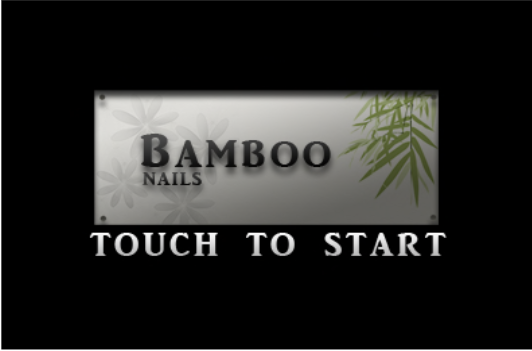 Also the HUDs work with any set of [Bamboo] Nails which I like a lot. 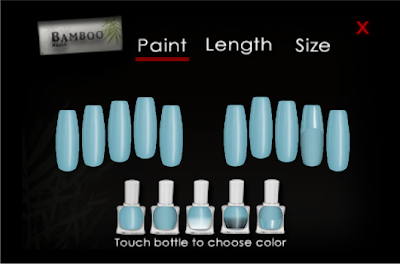 Well, enough chatter, go and check out these nails to adorn those fingers of yours!